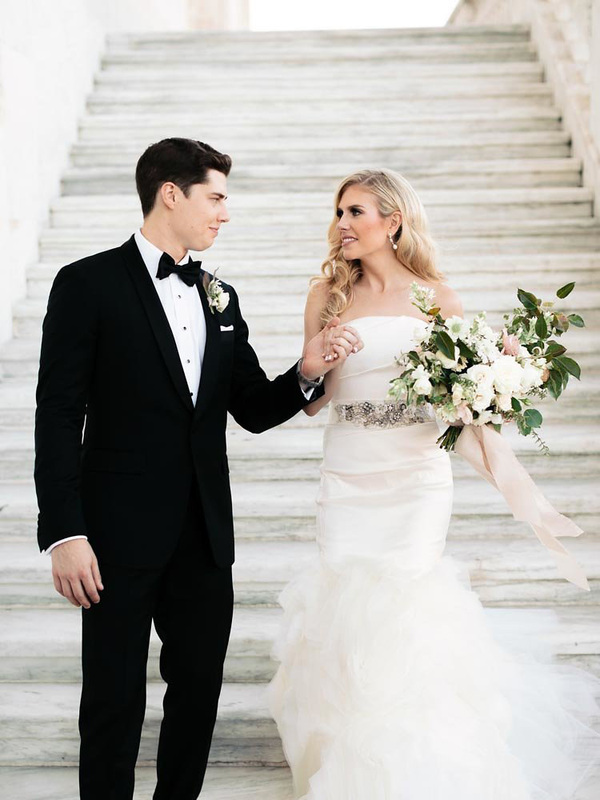 This wedding is a personal favorite. The Detroit Institute of Arts is such a beautiful venue. 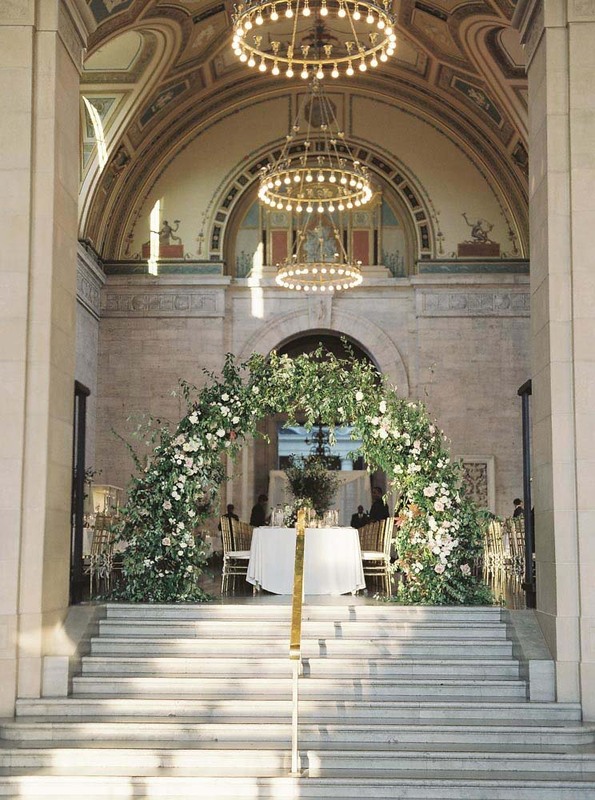 Shot by Blaine Siesser this wedding decorated the Great Hall with so many floral favorites. Seen here on Grey Likes Weddings seasonal garden roses mixed with rich foliage's made for a stunning combo filling guest tables to the brim!